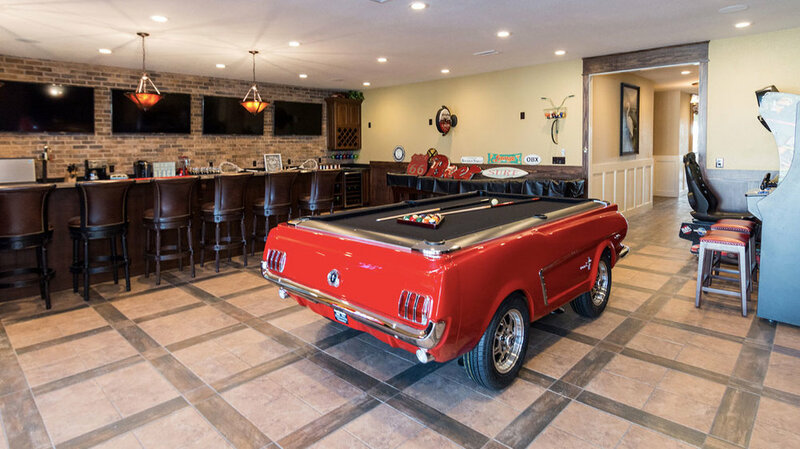 This home has entertainment for the entire family. The billiard's table is one of a kind and you will love catching a sunset at the Olde Irish Pub located on the top floor. The kids' have their own play cave with arcade games and more. Outside you will find yard games such as volleyball, horseshoes and corn hole -- all which are provided. Want to just relax and soak some rays? Grab a provided tube and hop on in the Lazy River --- the 1st home on the Outer Banks to have a Lazy River. The tiki bar is conveniently located right there in case you want to take a break and have a poolside refreshment! There is endless entertainment at Sound to Sea Beach Club for all ages -- that's for sure.